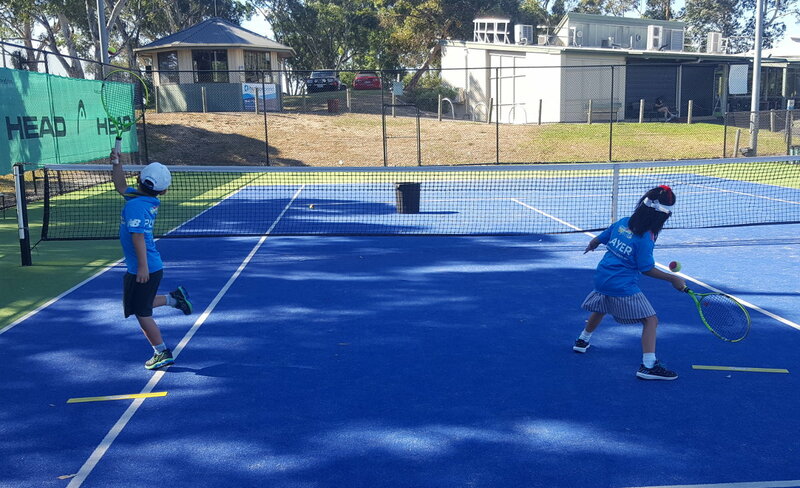 The Friday Junior Competition at the Boroondara Tennis Centre is a long-standing, hugely popular competition, which caters for both boys and girls in an open mixed competition. 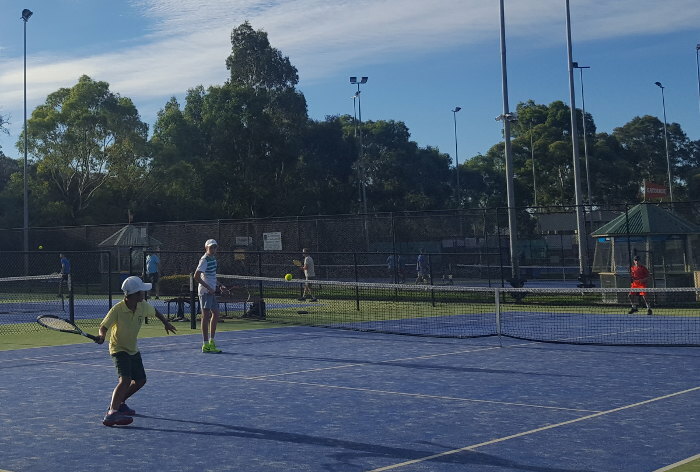 The Friday Junior Comp is run totally in-house, with all matches played at the Boroondara Tennis Centre each Friday night. The competition is suitable for juniors between about 9 and 16 years old, and for standards from beginners to intermediate. The competition promotes a good social and competitive environment for juniors wishing to further their tennis. We run 3 different sections to cater for all levels, beginner to advanced, with Section 3 being the entry level, Section 2 for intermediate level players, and Section 1 is for the more advanced player. Competitors play both singles and doubles every week. The teams play for points; there is a ladder for each section that is updated every week online, finals at the end of the season, and trophies presented to every player in the grand final teams. The competition is split into a Summer season – terms 4 & 1 – and a Winter season – terms 2 & 3. All Matches are played between 6 pm - 8pm friday and the cost is $20.00 per player each week. Players can enter the competition individually, with friends, or as a team. The first week of every new season is run as a grading night, to allow us to accurately grade players for the season. To assist in the smooth running the competition, 2 of our most experienced coaches, Stuart and Shane, are on hand every week to supervise play. Add in a sausage sizzle every week, and you have a real social tennis night for the upcoming young tennis player! 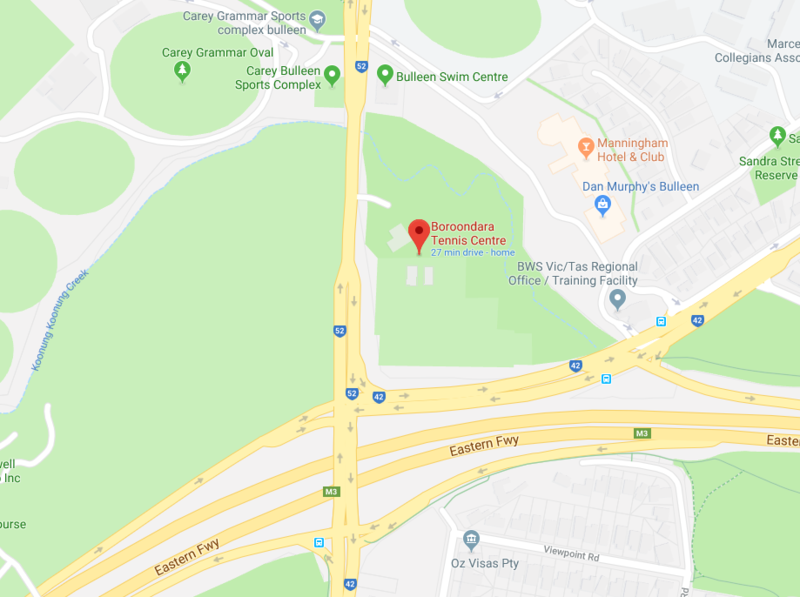 To complement the Boroondara Tennis Centre’s extensive coaching program, and the Friday Junior Competition, a round-robin is held every Sunday morning during the school term between 10.00 am and 12.00 pm. As per the Friday Junior Competition, the Sunday Round-Robin also caters for a cross-section of ages and standards, and both boys and girls. Players play both singles and doubles each week, with a sausage sizzle at the end of the morning’s play. A raffle is also held at the end of each term. The main difference between the Friday Junior Competition and the Sunday Round Robin is the much more flexible format, which allows players to sign up week by week, without the need to commit to a full season. There are no teams, ladders or finals, just a fun, social way to practice match play when the junior player is up for a game on the weekend. Just ring up and sign in over the weekend! Players are encouraged to sign up in advance, but can also do so on the day of competition. Each week players will play 3 - 4 sets of doubles or singles, depending on the age and ability of the players who sign up for the week. In addition to our coaching program, we will also be running a new Modified Ball Match Play competition, for players aged 11 years and under. The Modified Ball Match Play Competition is a great way to introduce younger players to competitive tennis and is a perfect bridge between tennis lessons and competition play. Players use modified tennis balls which are easier for younger players to hit plus special match play formats to speed up play and make scoring easier. This is the perfect pathway into our Friday Junior Competition at 6:00 pm.